Last evening, I prepared a no fuss Spanish theme dinner. The kids absolutely loved it. Several simple mouth watering tapas before the main course, a great tasting seafood paella. You can find the paella recipe over here. 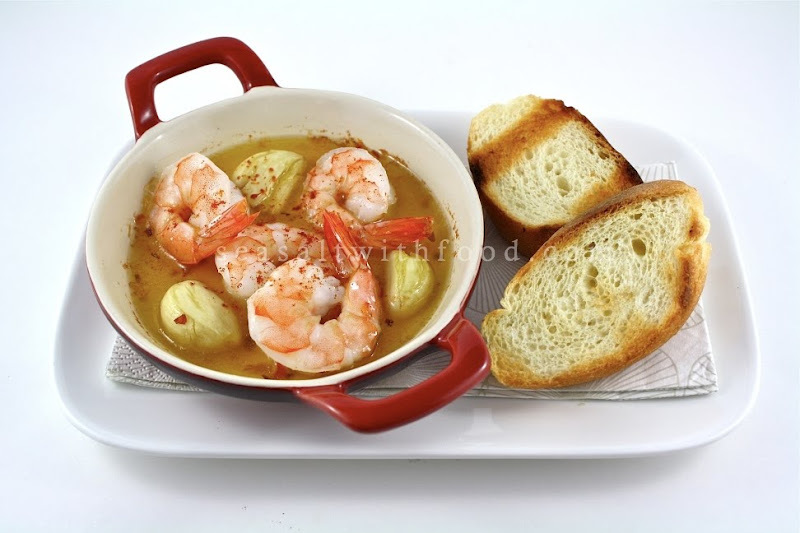 One of the tapas I made was a simply and delicious Garlic Prawns. I am posting the recipe here for you to consider trying. 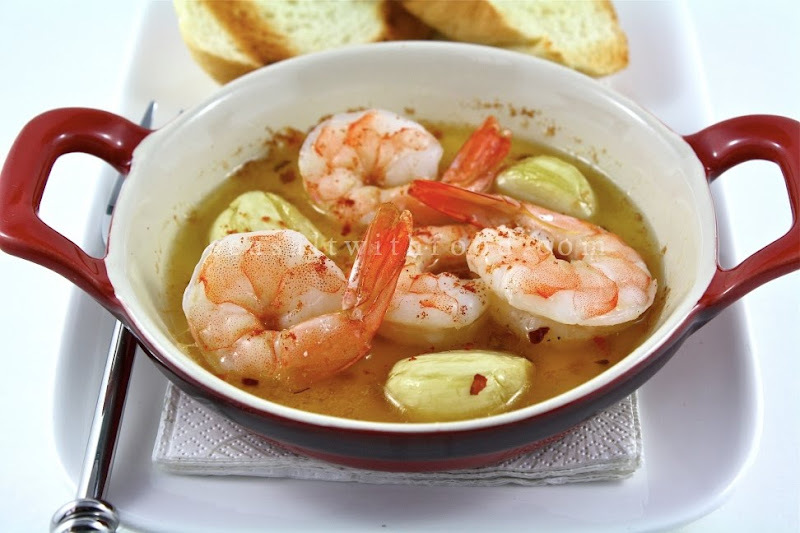 It’s really easy to make, just prepare lots of toasted baguette or bread to dip into the addictive olive oil. This recipe serves 2. Enjoy! Place 2 ramekins on baking sheet. Divide the oil, garlic and pepper flakes equally into the ramekins. Place in the oven for about 6 to 8 minutes or until the oil are hot and the garlic is fragrant. Remove from the oven and place add the prawns in the hot oil. 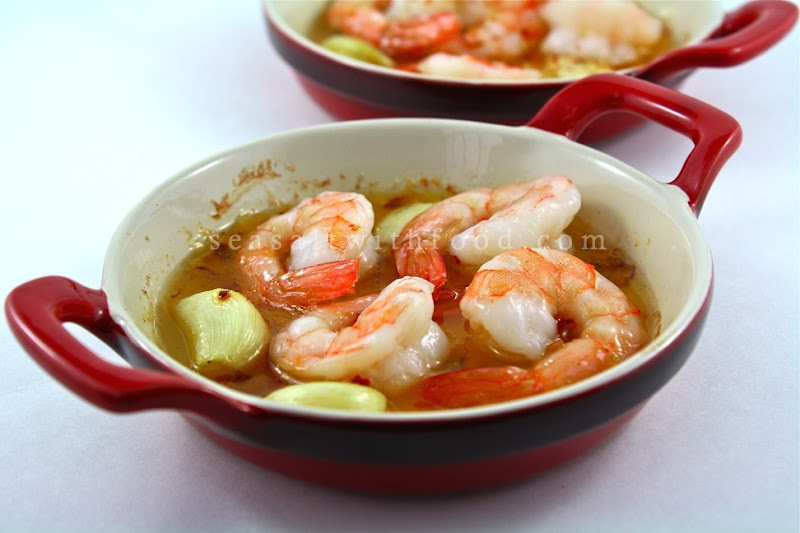 Return to the oven and bake for another 5 to 6 minutes or until the prawns are just cook. Season the prawns lightly with sea salt if necessary and top with a pinch of paprika. Serve immediately with lightly toasted bread.